Always start with the Poise® Impressa® Bladder Supports Sizing Kit to find your perfect fit. Print your coupon now to help stop your leaks before they happen. 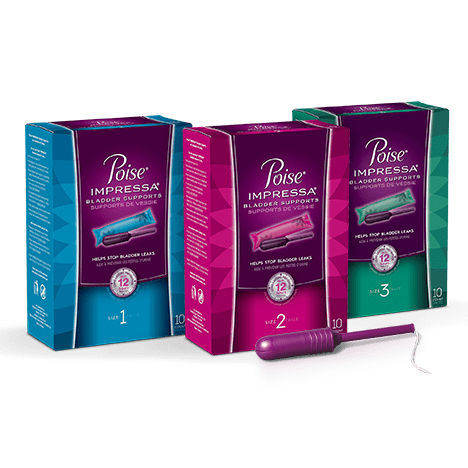 After using the Impressa® Sizing Kit to find your size, print this coupon for a 10-count,Single-Size Pack of Poise® Impressa® Bladder Supports. 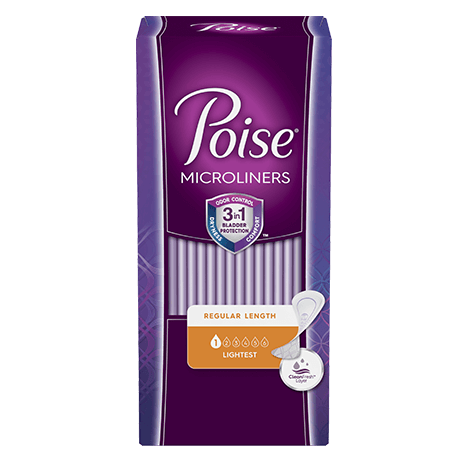 Save on Poise® liners-featuring a CleanFresh™ Layer that quickly absorbs wetness and odor to keep you feeling clean and fresh all day. 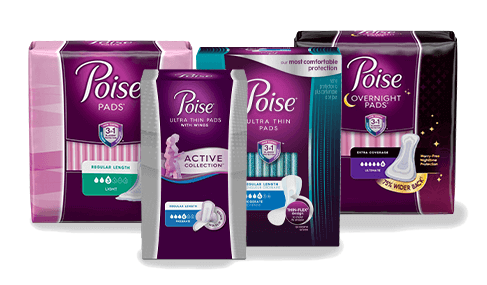 Print your coupon now to save on Poise®Original Pads, Ultra Thin® Pads and Overnight Pads. See how they provide superior comfort and absorbency, and stay 5x drier than the leading Always period pad†. †vs. leading regular size period-only products, where most needed.